R.M. 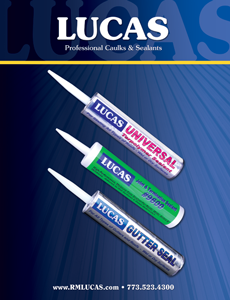 Lucas Co. manufactures a complete line of professional quality caulks and sealants for exterior building envelope applications. Performance based formulas are offered in a wide range of chemistries to provide the best solution for each application. 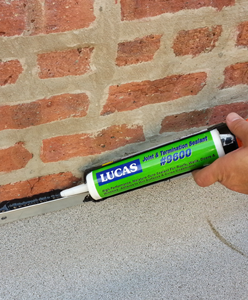 Solvent-borne terpolymer, butyl and nitrile rubber sealants are ideal for gutter installation and residential roofing, window and siding projects. Water based acrylic sealants offer economical performance and low VOC content. Moisture cure reactive chemistries, including polyurethane and silicone, provide extremely high solids, non-shrink alternatives to solvent and water-based technologies while also being low VOC and very low odor. Copyright © 2014 RM Lucas, INC. All Rights Reserved.